Now that we are coming into the (dare I say it) virus season, we could all do with a bit of immunity boosting. 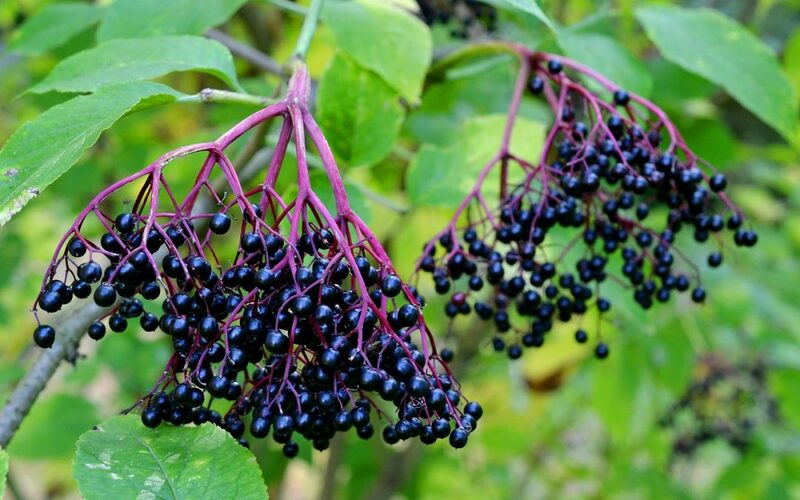 Elderberry syrup is fantastic for boosting the immunity and is packed with Vitamins A,B and C and there have been lots of clinical trials on it too. According to the clinical trials, if it is taken before an infection breaks out, it can prevent the infection entirely. Wow, get me a barrel now!! After looking on the tinternet, I have come across this fab recipe from https://wellnessmama.com/1888/elderberry-syrup/ Please go on line and take a look at the website, it explains it in more detail on clinical trials etc, many thanks to Wellness Mama. 1. Pour water into medium saucepan and add elderberries, ginger, cinnamon, and cloves. 2. Bring to a boil and then cover and reduce to a simmer for about 45 minutes to an hour until the liquid has reduced by almost half. 3. Remove from heat and let cool until it is cool enough to be handled. 4. Mash the berries carefully using a spoon or other flat utensil. 5. Pour through a strainer into a glass jar or bowl. 6. Discard the elderberries and let the liquid cool to lukewarm. 7. When it is no longer hot, add the honey and stir well. 8. When the honey is well mixed into the elderberry mixture, pour the syrup into a quart sized mason jar or 16 ounce glass bottle of some kind. 10. immune boosting properties. Some sources recommend taking only during the week and not on the weekends to boost immunity. Instant Pot option: Put all ingredients in pot, seal lid, and set manually for 9 minutes on high pressure. Vent pressure and strain. Standard dose is ½ tsp – 1 tsp for kids and ½ – 1 tablespoon for adults. If the flu does strike, take the normal dose every 2-3 hours instead of once a day until symptoms disappear.